Stephen Malkmus fans expecting a full-on ten-song synthesizer onslaught concocted using nothing but analog sequencers, Ableton software, and a microphone may be disappointed when they hear the former Pavement frontman’s latest work sans his current band, the Jicks. Only four of Groove Denied’s ten songs appear to be made up of purely synthetic elements. Those four tracks, with maybe one or two exceptions, are the most interesting part of the entire album. “Belziger Faceplant” opens Groove Denied with out-of-sync pulses and weird cyclic bursts over a Casio-esque beat. Before long, a tiny taste of Malkmus’ vocals are offered up in the form of a few warbled, unintelligible words before a catchy keyboard hook falls in and we’re treated to three minutes of delightfully danceable indietronica quirkiness. “A Bit Wilder” has Malkmus laying reverb-heavy vocals over a Peter Hook-ish bassline. “These are imaginary notes, these are my imaginary notes,” Malkmus sings in a paced-out way that instantly recalls Ian Curtis. The excellent single “Viktor Borgia” is next, and with it’s perkily chirping melody and Moogy interjections is an instant pleaser and the record’s finest moment. With its twangy sitar, lo-fi hiss, and analog drums, Malkmus throws a curveball with “Come Get Me”. While decent, the song immediately jars you out of the exclusively electronic vibe we’ve been drawn into up to this point. As if signaling the changeover from Groove Denied’s electronic first half to its woozy, hippy-dippy, guitar-heavy back nine, the trancelike “Forget Your Place” finds itself as the album’s centerpiece. The hypnotic track’s placement is understandable in the sequence, especially if you know what’s ahead. Henceforth, apart from a few brief synthesizer intros and digitized interjections, the “electronic” inclinations of Groove Denied are completely abandoned. Are there any standout moments to be found in Groove Denied’s second half? The short answer is no. Sure, you get Malkmus’ fine guitar work and his always thoughtful, clever lyricism, but unfortunately, after the impressive originality of side A, side B feels like a cop-out. 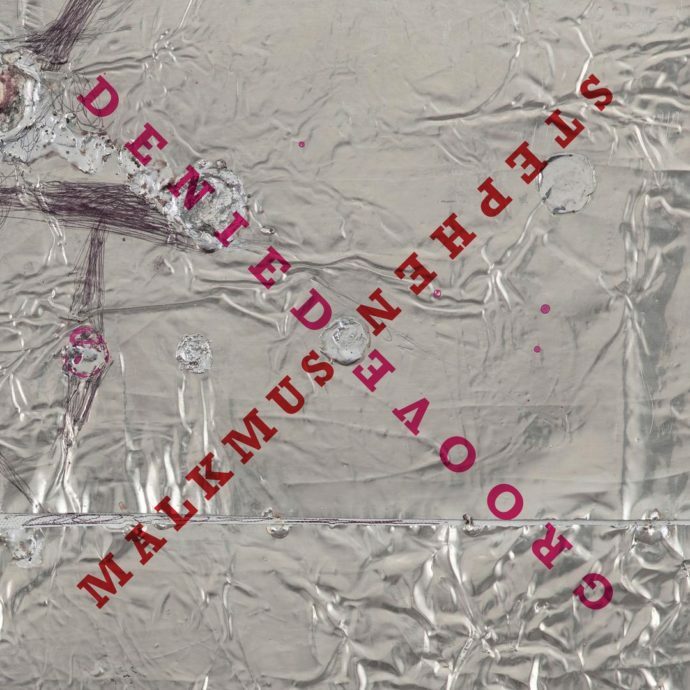 Why Malkmus didn’t go whole-hog into the electronic genre throughout the entirety of Groove Denied is anyone’s guess. He obviously has a knack for composing intelligent synthpop, a characteristic the genre has been sorely lacking as of late. Still, it’s refreshing to hear one of nineties indie rock’s most recognizable and admired people step out of his comfort zone and try something completely different, even if just for a short time.